Hydroponic gardening help is not the only focus of this website. In this site, we hope to show you some of the pros and cons to help you make an educated decision on the making of an easy hydroponic garden and also give you tips and ideas on conventional organic ‘in the earth get dirt under the fingernails’ gardening. Hydroponic Gardening is a soil-less form of gardening that’s also a convenient option for those who don’t have the sunlight or yard space for a conventional garden. A nutrient-rich water solution replaces soil and is used to grow vegetables, flowers, or herbs in almost any space or climate. 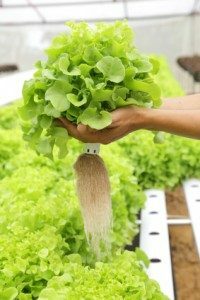 While hydroponic gardening has many advantages, there are also some disadvantages which have to be considered. Hydroponic Gardening doesn’t require soil. Therefore it’s a very viable technique that’s used in areas where there’s scarcity of land for farming. With a hydroponic garden, you can grow plants anywhere. For instance, you can grow plants in an unused fish tank, on a rooftop, or near the window sill. In hydroponics, there’s no need to till the soil, irrigate the farmland, spray fertilizers, or fumigate. This not only reduces your workload but also cuts down your labor cost significantly. Hydroponic gardening uses a lot fewer nutrients and water compared to soil culture as the systems recycle nutrients. This advantage is crucial as it can help reduce the pollution of the stream and the land with high amounts of runoff nutrients. Hydroponic gardening is a fully monitored system hence providing better control on plant growth. In soil culture, it’s difficult to manage physical factors such as humidity levels and pH due to the complex biological and chemical nature of the soil. However, a hydroponic gardener can determine the right nutrient level, temperature, humidity, and pH for the system and grow his/her plants in a perfect environment. With hydroponic gardening, you can grow a wide variety of plants compared to growing them in the soil. You can grow just about anything from horseradish to basil, from orchids to roses, from coconuts to potatoes. This kind of gardening is a might be somewhat, but not always expensive to start. You must buy numerous lights, pumps, timers, grow boxes and nutritional solutions. To be fair, a hydroponic garden is less expensive to maintain than the usual soil garden. Also, when you are just starting out, you will not or should not go for all the bells and whistles. Stay simple, check it out on a common sense budget. Lights are not needed outside, timers are not for a start-up system. A hydroponic garden can be quite different to set up than a traditional garden. You must fully understand how the technique works so as to see results. This website will help you out with that! A hydroponic garden requires diligent care as failure to maintain the right nutrition levels can cause massive plant death. Traditional gardens may be left alone for a while, but hydroponic gardens can’t. Thus it’s important to learn the right way to get things done. Again, this site will help you out with those concerns. Hydroponic gardening uses energy and resources. The gardener relies on electricity and equipment instead of allowing nature to do just about everything. Simple? Sure it is! A third grader can do it! 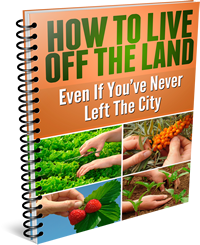 Go through this site for ideas and programs for hydroponic gardening help to get yourself started on this rewarding way to grow your plants without the need to be concerned with everything that nature will throw at you! The video showed just one way…..there are many ways to grow hydroponic gardens in all kinds of price ranges! There’s a lot of promise in hydroponic gardening, and more research is being done to solve the concerns that now stop more gardeners from trying the method. However, there are many inexpensive ways to try it out and see if it’s right for you. We hope that you find this site helpful for all your gardening needs and questions. If you have any questions, ideas, or concerns, please do not hesitate to contact us. We love feedback!